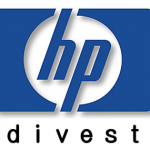 Print : Hewlett-Packard’s PC Business: What Happens Next? The details are still unclear about exactly what Hewlett-Packard is going to do with its personal computer business. There are many options, ranging from a spinout as an independent company, to a sale to a private equity firm, to, as CEO Léo Apotheker said on a conference call yesterday, no transaction at all. But two more likely scenarios stand out. The first and most likely option would be for HP to spin off the PC business by creating a separate company and distributing the shares to investors. There are specific advantages to doing it this way rather than selling. 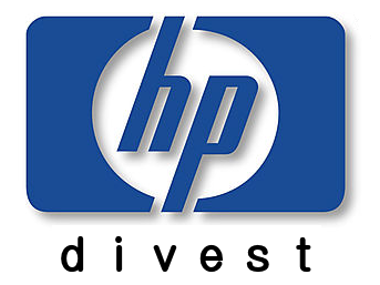 As a distribution to shareholders, there would be no tax impact to HP. In a sale, there would be taxes on the income from the sale of assets. If a split is what ultimately happens, then there are lot of new questions. Who would run the new business? A leading candidate is Todd Bradley, who is currently the head of HP’s Personal Systems Group, and, coincidentally, was once the CEO of Palm. Bradley is a well-regarded executive and had been considered the most likely successor to former CEO Mark Hurd, before Hurd’s sudden resignation last year. Bradley was unsuccessfully recruited by Intel earlier this year. Having been passed over for the top job at HP, he now has a clear runway to be CEO of its spunout independent PC company if that’s what HP decides to do. But what if HP doesn’t spin out, and decides to sell the unit instead? Who would buy it? Sources said that HP quietly shopped the PC division around earlier this year to companies in Asia, several of whom kicked the tires. In the weeks leading up to yesterday’s announcement, when conversation with various PC industry observers turned to HP, it wasn’t long before speculation of a sale would come up, soon followed by speculation about a possible buyer. The most likely candidate in almost every one of those conversations was Samsung. While Samsung isn’t a significant player in the PC business in North America, it is a more active player in Asia. And its other businesses, specifically its chip manufacturing operations, are deeply enmeshed in PCs. Samsung is the world’s biggest supplier of PC memory, or DRAM. It’s also the world’s largest supplier of flash memory, which is increasingly being used to build solid-state hard drives in PCs. And since PCs have played an increasingly central part in the consumer business, it would fill a significant hole in Samsung’s lineup of televisions, phones, cameras and other electronic devices. And if there’s one thing that Samsung is good at, it is manufacturing products that carry thin profit margins, such as TVs. HP’s Personal Systems group also did a $40 billion business last year, with an operating margin of four to five percent. Add to that HP’s status as the largest supplier of PCs to key retail outlets like Best Buy and Wal-Mart in the United States and numerous other retail outlets around the world, and the target becomes even more enticing. What would it cost? As a business in decline, not much. Sales were about $40 billion in 2010, and are on track to be about $32 billion this year. Analysts note that as a shrinking business it wouldn’t command much if any premium, and might even sell for about half of 2011 sales. That yields a price in the $16 billion to $20 billion range. This would be smaller than what Dell trades at right now, which, at a market cap of $26 billion, is about eight times trailing earnings, but is valued at a startling 0.4 times the current year’s expected revenue of $64 billion. Many wonder why the process HP has outlined will take 12 to 18 months. Complexity, for one thing. HP’s PC business is made up of lots of little parts around the world, all of which will have to be rolled into one legal entity. Then there’s the matter of figuring out which people and assets belong to the PC unit and not the printing unit. Sources said HP has hired Perella Weinberg Partners as its financial advisor; and two law firms — Gibson, Dunn & Crutcher and Skadden, Arps, Slate, Meagher & Flom — as its legal advisers for the effort. Finally, given the events of yesterday and HP’s history as one of Silicon Valley’s most important companies, it’s worth listening to Léo Apotheker’s explanation for all this in full. I recorded the conference call, and was particularly struck by, at the beginning, the detail of his explanation of all the many moving pieces. It’s a statement that lasts about 15 minutes. I’ve trimmed that from the recording of the full call and embedded it below. One thing is clear: For better or worse, it is the start of a process that will lead to an entirely new HP. Return to: Hewlett-Packard’s PC Business: What Happens Next?